Rear exterior of the house, which has views of the Essex River. Clamshell Landing at dusk, as seen from the back yard. Exterior Full size squash court. Kitchen Large eat-in chef's kitchen. 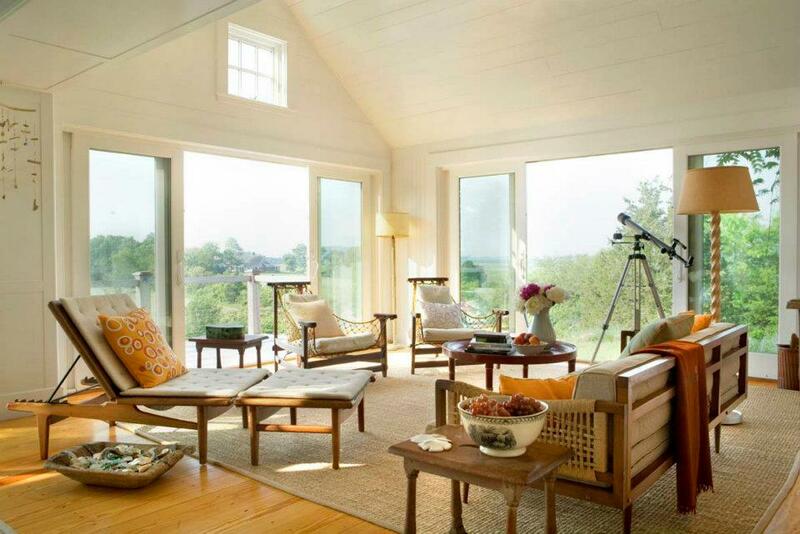 Living room with views of the marsh. 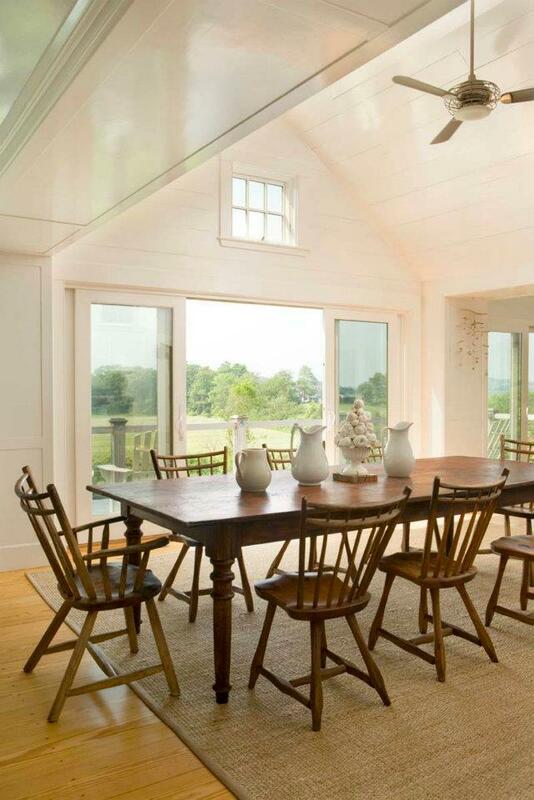 Dining area with views of the marsh. Living room with original wood fireplace. 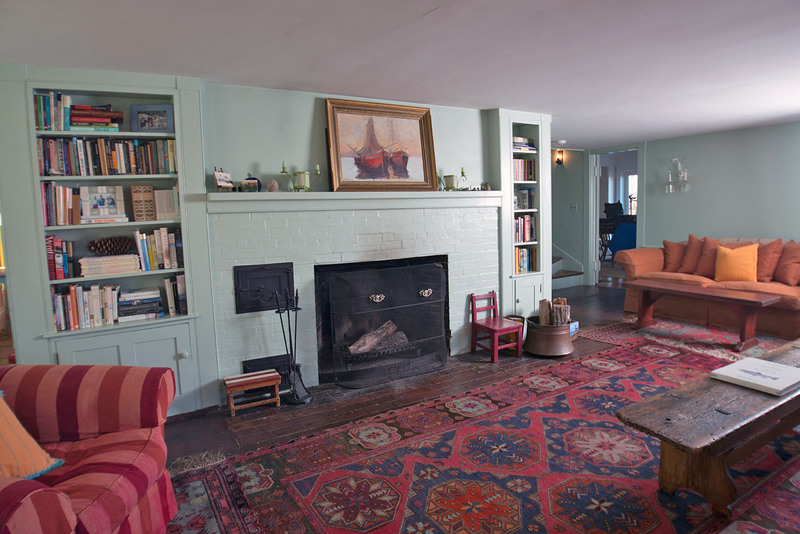 Living room in original portion of the home. Bedroom 1: First floor queen bedroom with en suite. Bedroom 3: Bedroom with two twin beds. Bedroom 2: Bedroom with two twin beds and sitting area. Bedroom 2: Bedroom with two twin beds and sitting area for watch Full hall bathroom. Bedroom 4: Queen bedroom. Bedroom 5: Bedroom with two twin beds. Bedroom 5: Large bedroom with two twin beds. Bedroom 6: Large bedroom with four twin beds and private balcony Bedroom 6: Large bedroom with four twin beds and private balcony Full bath. Landing area with bench made from old skis. 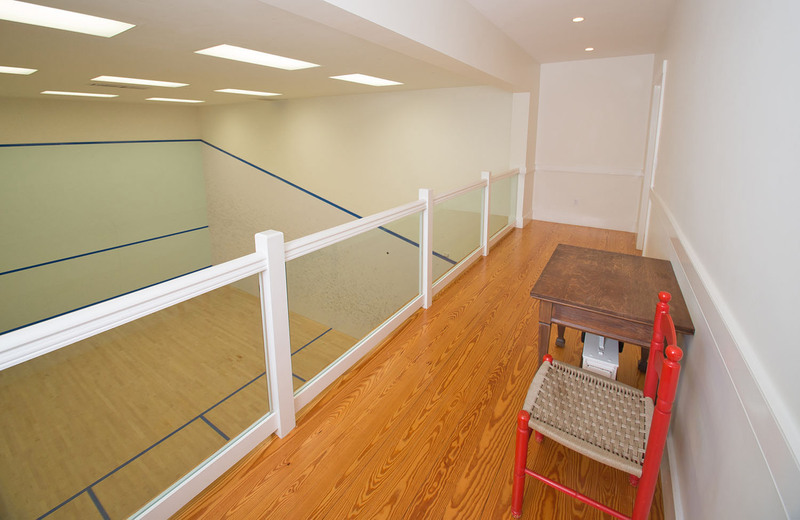 Full size squash court with viewing balcony. 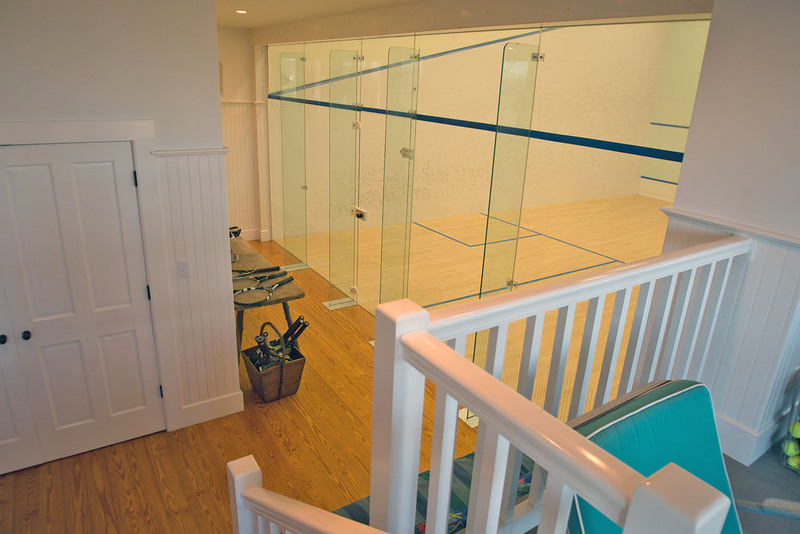 Squash court with large observation area. Autographed sports memorabilia. Workout room. Locker room with changing room and shower. Pool table with a view. Back exterior of the house, with many windows and sliding doors. View of the river from the deck. 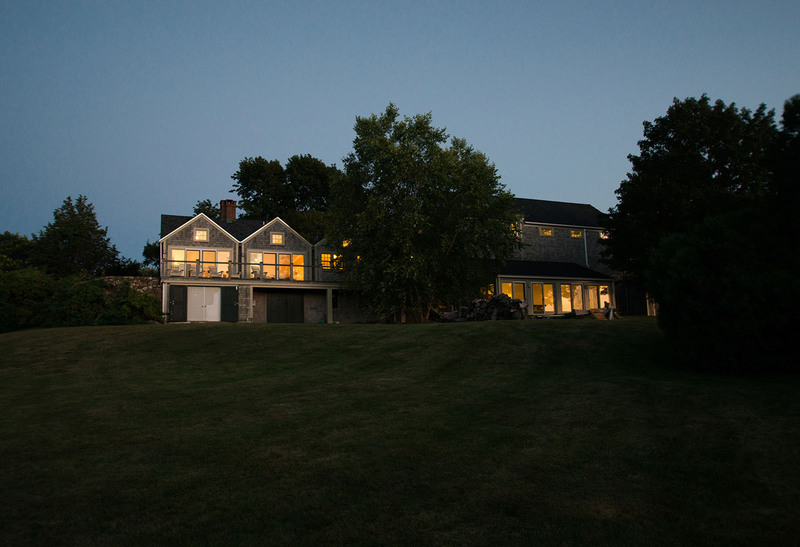 Watch spectacular sunsets over the Essex River from the expansive deck of this one-of-a-kind vacation home. 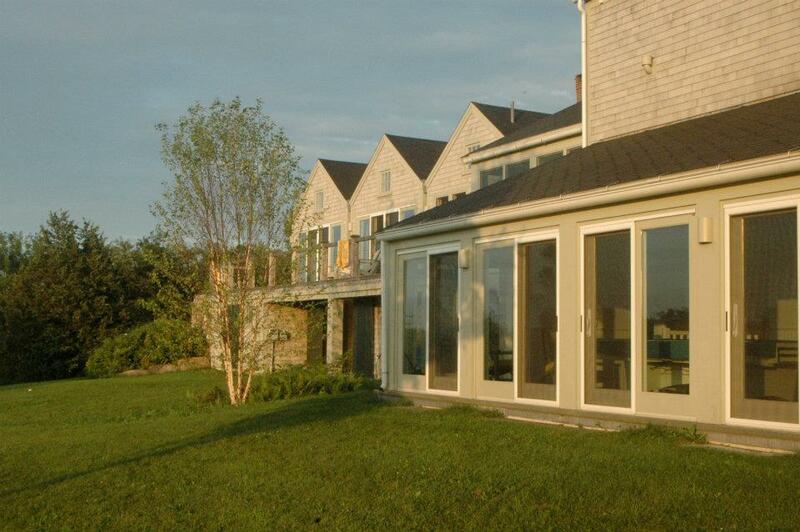 Clamshell Landing sits on 22 acres of pristine conservation land and overlooks the green grasses of the Essex salt marsh. Swim or kayak to the beach or out to lunch in Essex by way of the estuaries of the Essex River Basin. The “bones” of the original farmhouse are still here, but the property was enlarged and completely renovated in the early 2000s. Most of the house has central air conditioning, except in the original part of the house. Sleeping 14 people in 6 bedrooms, there is more than enough space for everyone. 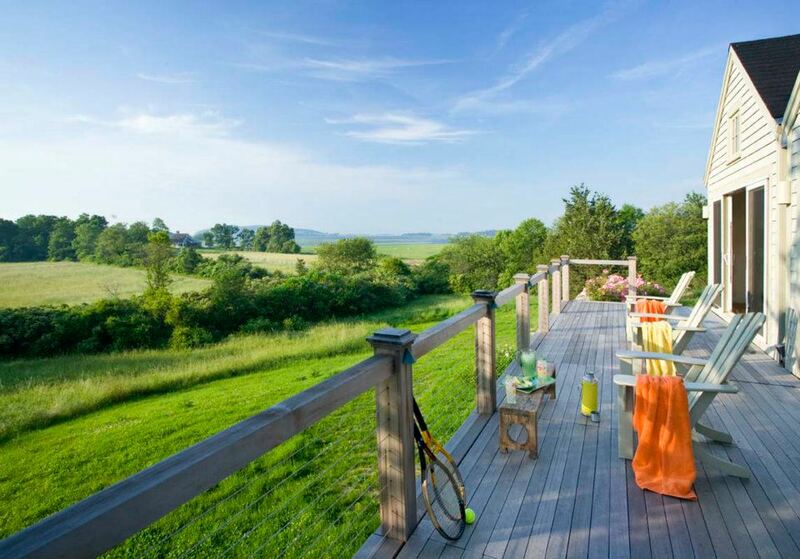 This unique vacation rental home is perfect for sports enthusiasts or nature lovers and is complete with a pool table, squash & tennis courts, a fitness room, locker room, kayaks, and much more. 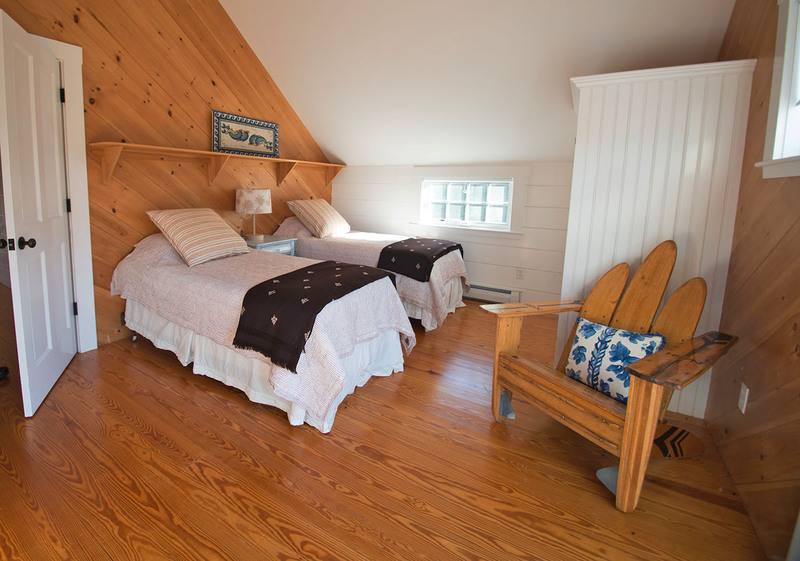 Located in the village of Essex, Clamshell Landing is close to restaurants and a host of seasonal activities. Gloucester is just a short drive in one direction and Ipswich (and Crane Beach) is just a short drive in the opposite direction. If you like antiques, you'll be glad to know that Essex has more fine antique shops than any other locale north of Boston. 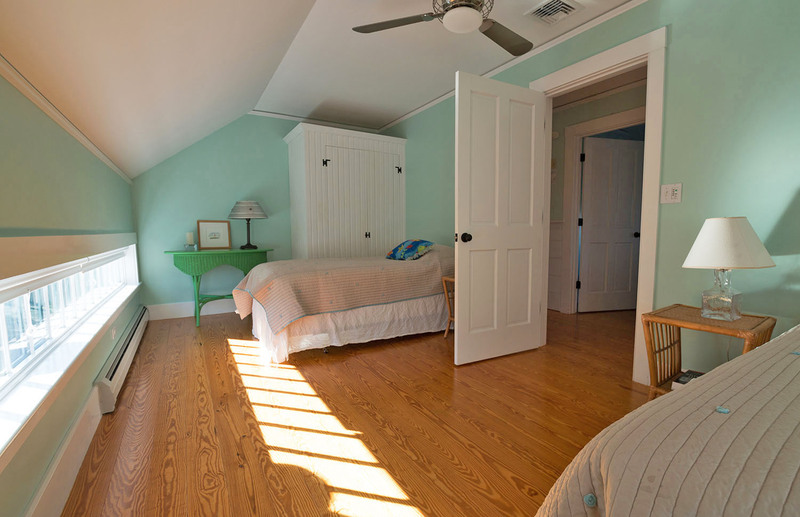 Available for rentals year round, Clamshell Landing is perfect for family vacations, family reunions, wedding accommodations, corporate outings or other events. Call us about event opportunities and pricing. Please note that any and all events need to be pre-approved. 5000 Sq. Ft. No pets. No smoking. 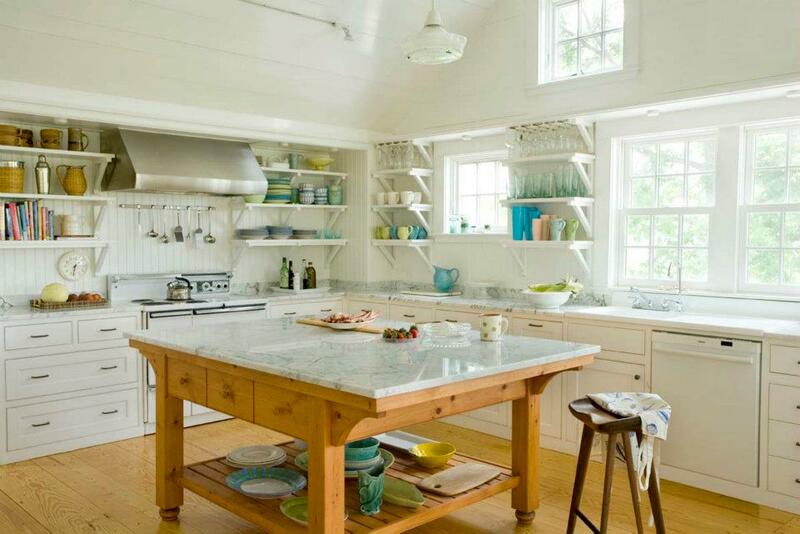 Kitchen: The "new wing" has a custom kitchen with a wall of glass from which you can enjoy the endless views. This is a cook's kitchen, boasting high-end appliances, marble counters, and a massive island that is perfect for meal prep. Living/Dining Room: From the kitchen, the open plan flows into dining and living areas that offer comfy seating and lots of light from the enormous windows and sliding doors to the deck. 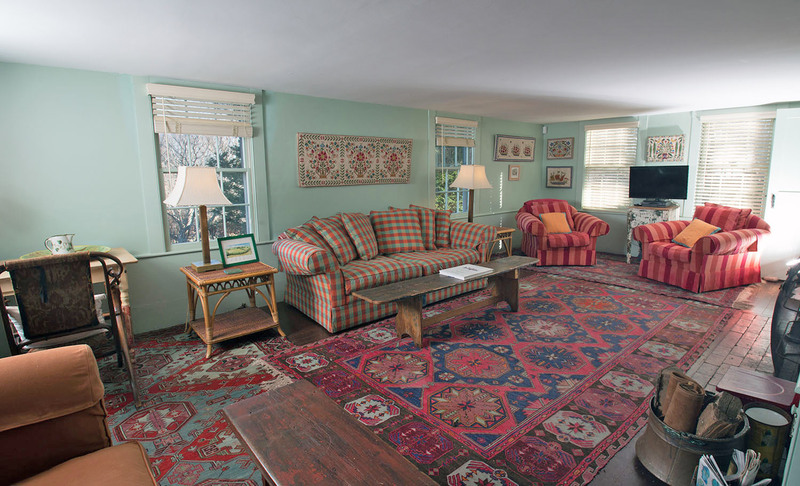 Parlor: In what was once part of the original farm house, there is another large sitting room with a fireplace, a flat-screen HDTV, and 3 different sitting areas to accommodate many different activities. Bedroom 1: The Master bedroom in this part of the house contains a Queen bed. Full Bathroom 1: Ensuite to the Master bedroom, with a tub/shower. Full bathroom 2: Just off the kitchen is a “mud room” with coat hooks fashioned from boat cleats and there you’ll find another full bath with tub and shower. 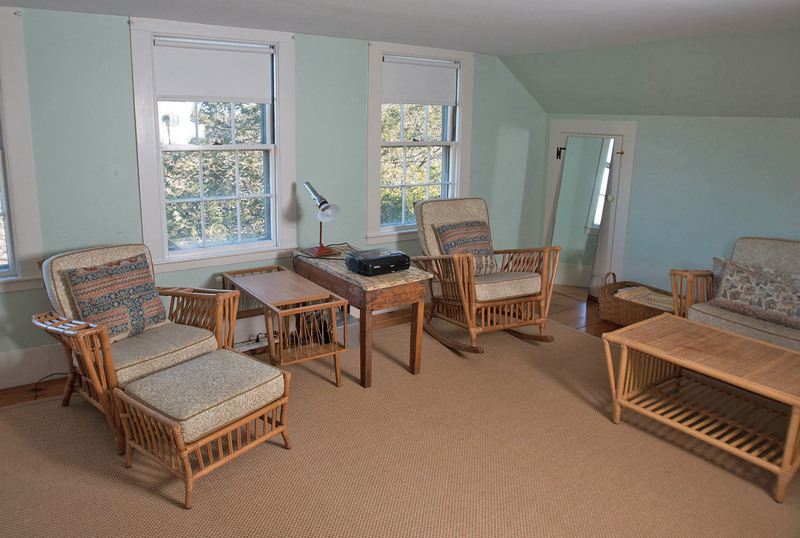 Screened Porch: To the other side of the kitchen is access to the screened porch, with a dining area and beautiful views of the grounds, marsh and sea beyond. Bedroom 2: Contains 2 Twin beds and this room doubles as a "movie loft," with a video projector with surround sound for hook up to a laptop. The sitting area offers two armchairs and a sofa for hanging out or watching movies. Bedroom 3: This bedroom contains 2 Twin beds. Full Bathroom 1: In the hall between the upstairs bedrooms, this bathroom contains a shower (no tub). 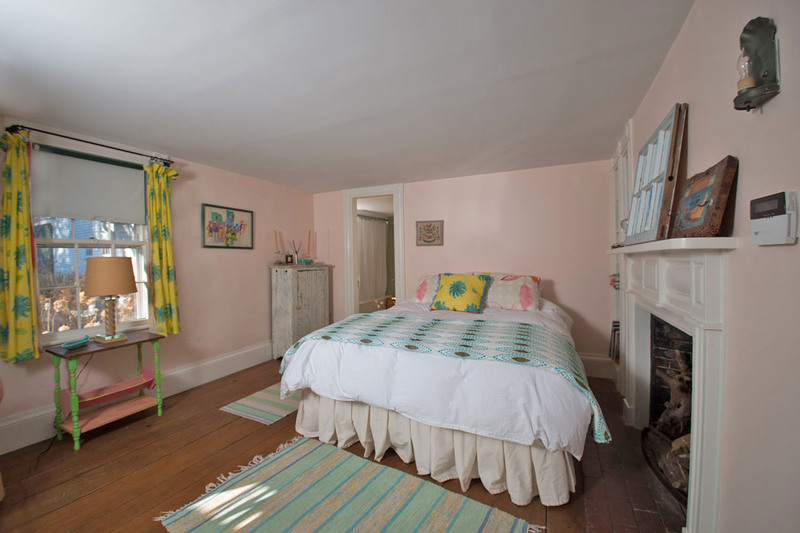 Bedroom 4: This room contains a Queen bed. 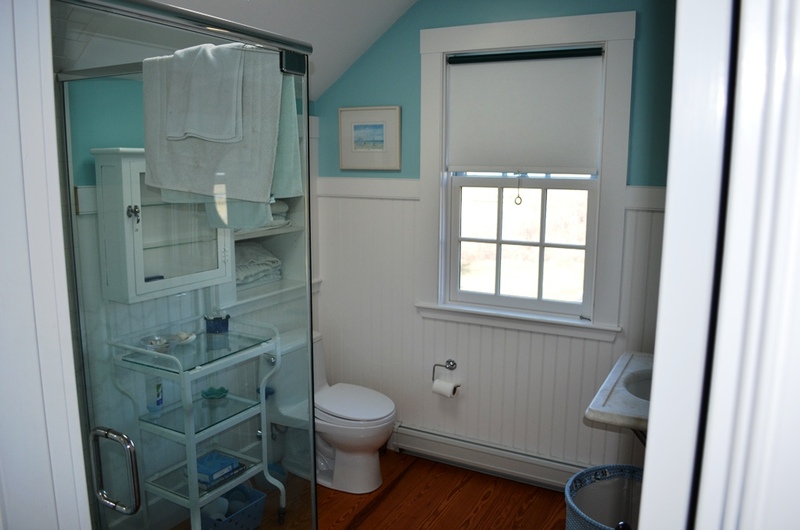 Half Bathroom 1: This half bath is ensuite to Bedroom 4. 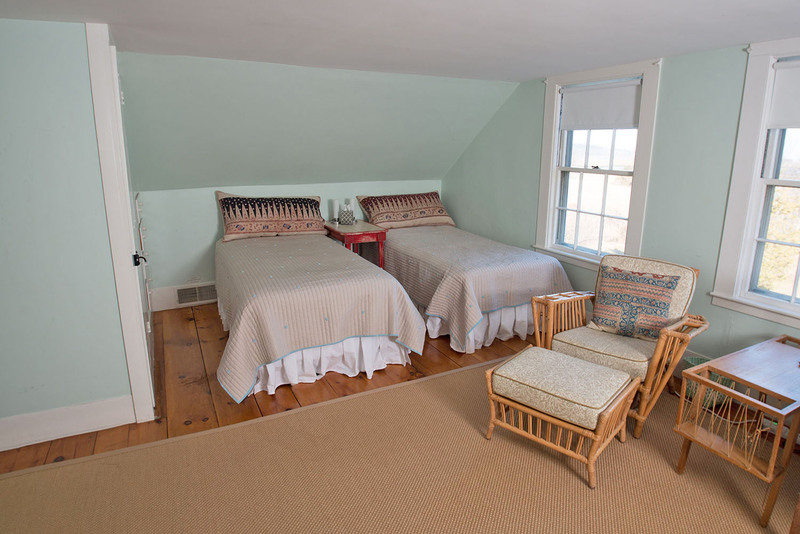 Bedroom 5: This spacious room contains 2 Twin beds. 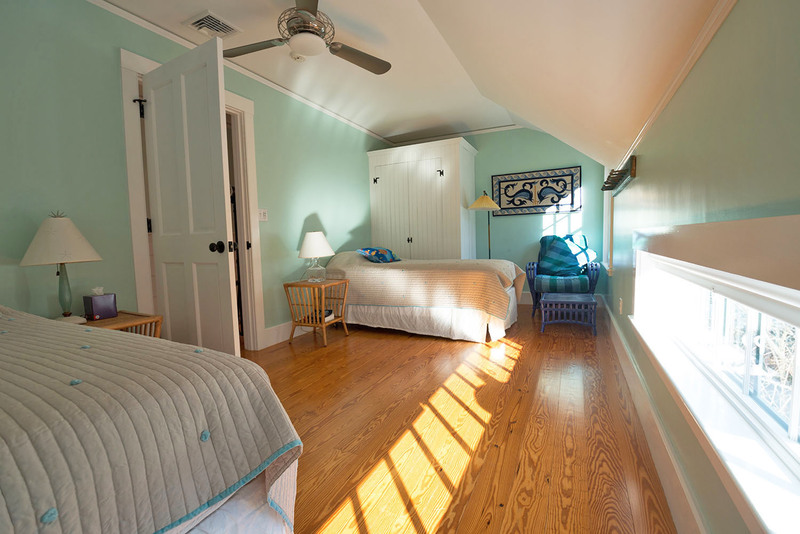 Bedroom 6: This room contains 4 Twin beds and a private balcony. 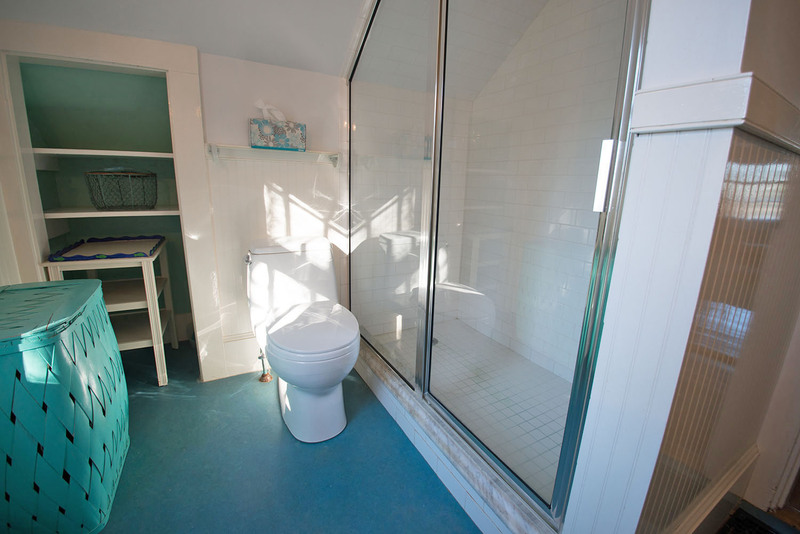 Full Bathroom 1: Contains a glass-enclosed shower (no tub). 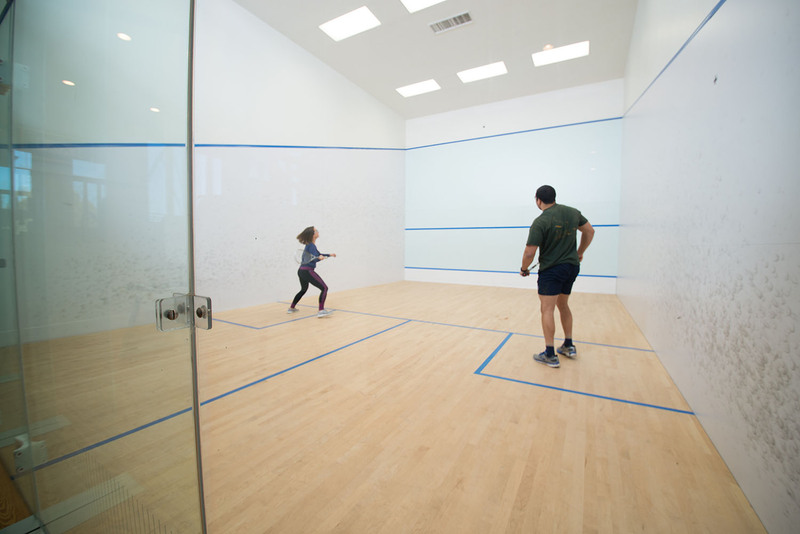 Squash Court: This regulation-sized, climate-controlled squash court is complete with a viewing gallery above. 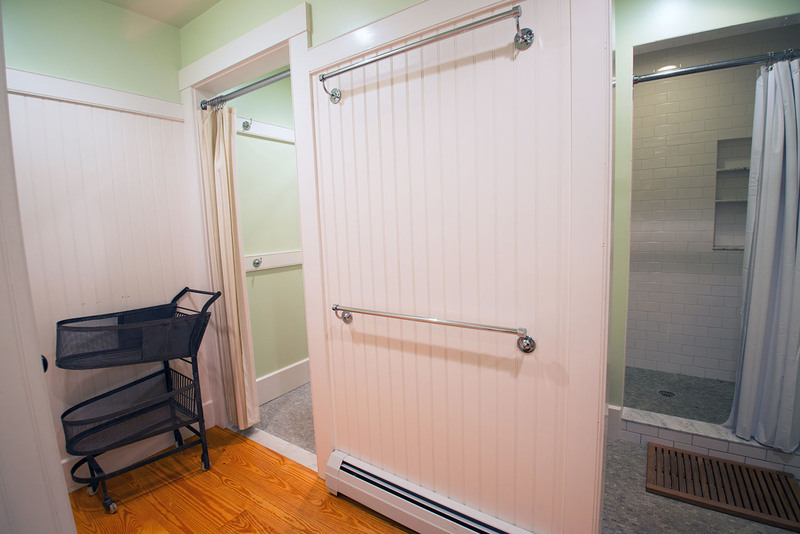 Locker Room: The “locker room” has two showers with changing cubicles, double sinks and a WC. 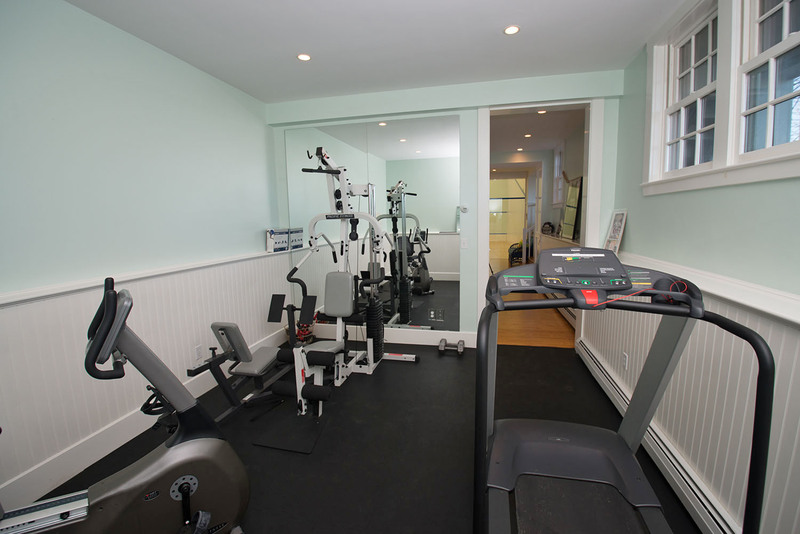 Fitness Room: Complete with treadmill, stationary bike, weights machine and other exercise equipment. 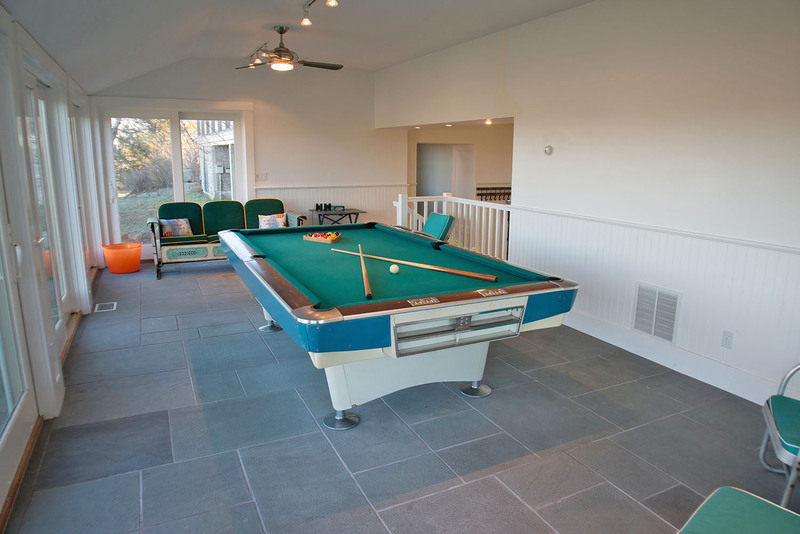 Billiards Room: This room contains a full-sized pool table and the many floor-to-celling windows frames the view of the marsh. The tennis court, fire pit, lighted half-basketball court, and kayaks are all available for your use. There is off-street parking for 6 cars. 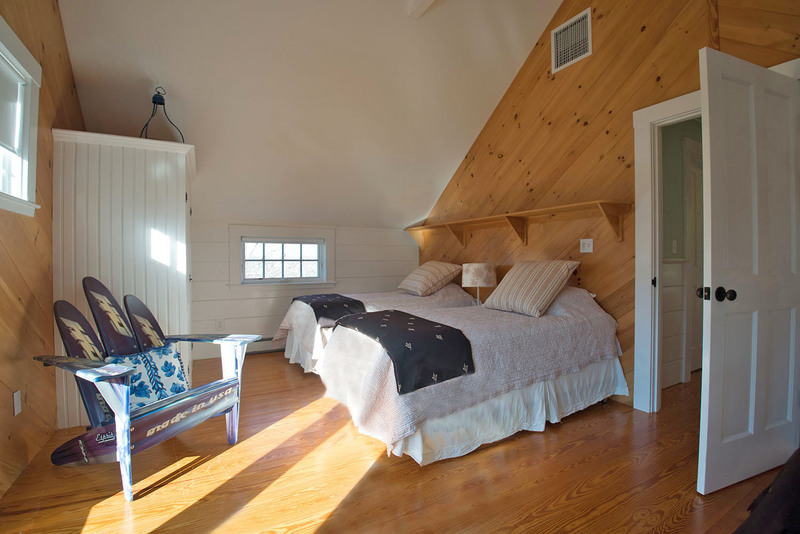 We had a wonderful time staying at Clamshell Landing. My husband and I rented it for ourselves during our wedding week, but hosted friends and family over for many meals and memories. There are many distinct spots in this house - so it was really easy to have large groups of and everyone was able to find a comfortable spot. The rental itself was incredibly clean, the property lovingly maintained, the home well furnished and decorated, and most everything we needed in the non-disposable category was there for us (towels, coffee maker, vase for flowers, scissors, plates, etc). Like most rentals, you'll want to plan a trip to the local grocer for the week to get toilet paper, paper towel, food, etc. - though you will have some starter items in your welcome bag for day 1. Knowing it was our wedding, AVH even gifted us a bottle of wine. We really can't say enough wonderful things!! One note - be sure to read the directions - do not follow Google map as it will send you somewhere else. Thank you AVH for your hospitality. We absolutely loved our visit!! This was a very clean and nice stay. We enjoyed the home and had lots of fun on and off property. Plenty to do,see and enjoy,no matter what the weather was. Lots of great food. We had a wonderful time at Clamshell Landing. 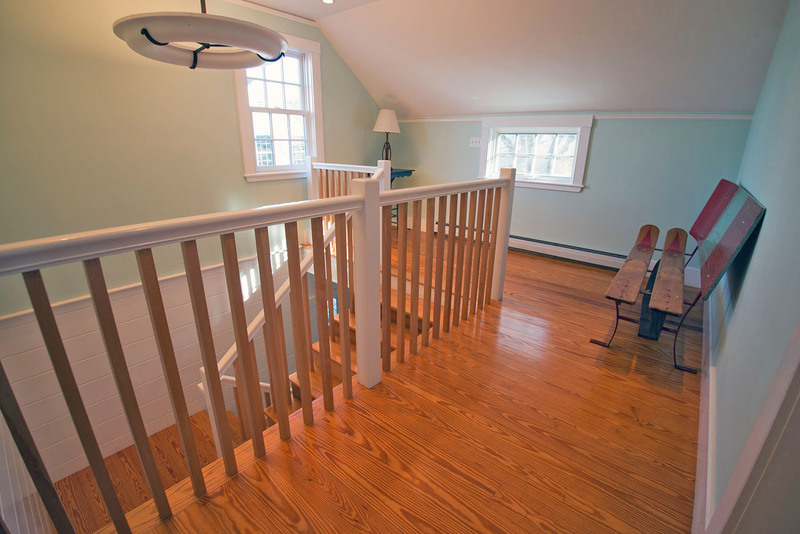 The house is big and airy and tastefully decorated. The view is breathtaking and it has one of the most beautiful sunset that we have ever seen. Annual Class of 1960 HS Reunion. 6 couples @ Clamshell plus one couple local in Manchester. Clamshell exceeded our expectations! 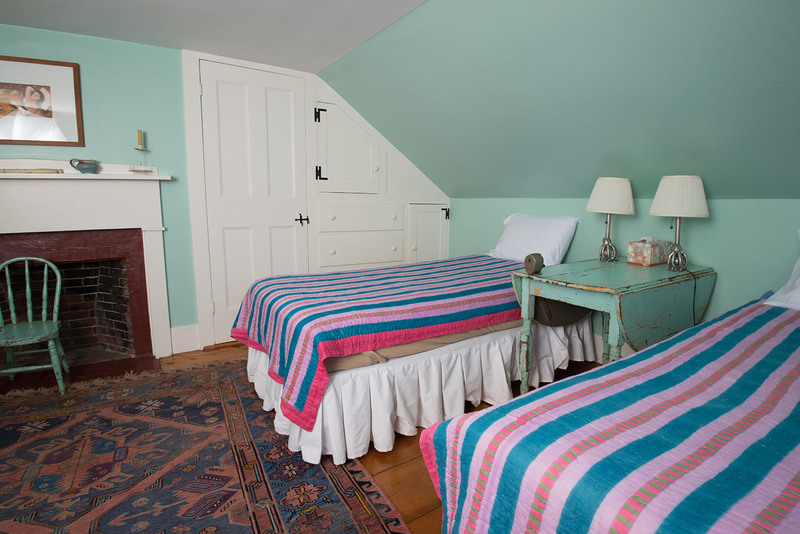 Great base from which to see local Cape Ann sights. 6 nights wasn't enough!! :) ALL 5's!!! Loaded with fun toys and beautiful scenery. great house with very good rental agency service. Only complaint is vague trash instructions and not enough containers--Had to make a trip to my home town transfer station. Thank you for your 5-star review! 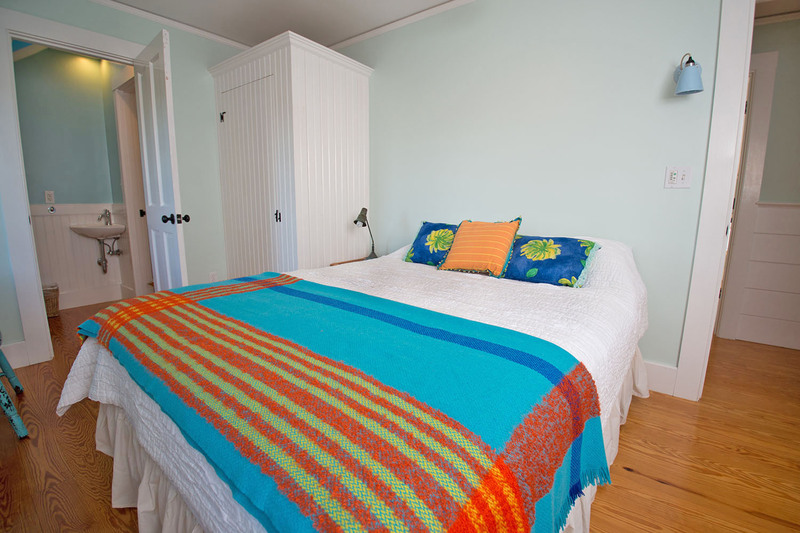 We are thrilled to hear that you had great stay and good experience with Atlantic Vacation Homes. We are sorry for the inconvenience on those few items. We are always just a phone call away to help with any questions or issues that may arise during a stay. We appreciate your feedback and look forward to seeing you in 2019! Long over due get together at a picturesque and spacail house! Was a perfect place for our family reunion with teenagers and early twenties nephews and nieces. Enough comfortable beds for all 14 of us and chairs for the beautiful dining table. 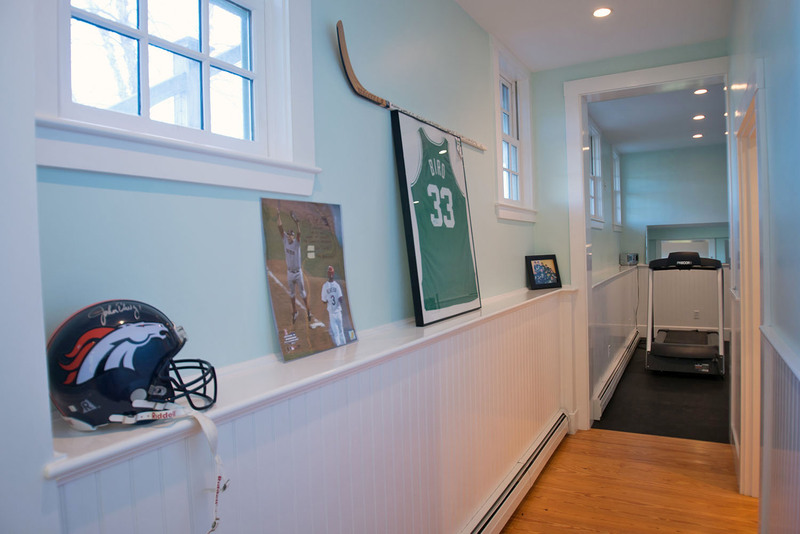 Unbelievable craftsmanship went into the new section of the house as well as the upgrades they have done to the older section. Nothing in the house was left unused: from the kayaks, tennis courts, pool table, workout room, and most importantly the squash courts! The only recommendation I would say- having a love of cooking- would be to upgrade the oven/stove, pots and pans. Life is short and if you need a place for a reunion for a large family get-together, this is definitely the place you want to rent! My best to the owners as you've done a wonderful job. The house, its setting, and the town of Essex were immediate hits with all 13 of us on a Family Reunion. AVH was also a big asset and most appreciated - do use them. But, please note that they respond by email - we missed their messages. Our biggest problem was the limited capacity of Recycle Bins and not having them emptied for a week. If you have a Refrigerator Magnet telling you about trash/recycling PLEASE do not take or lose it. Ours was missing. The owners have a wonderful home and we appreciated it! Sure, the black ants are a little gross, but its a minor thing when the owners do so much to make stays as great as possible. We stayed at Clamshell Landing the week of my wedding, which was over Labor Day weekend. 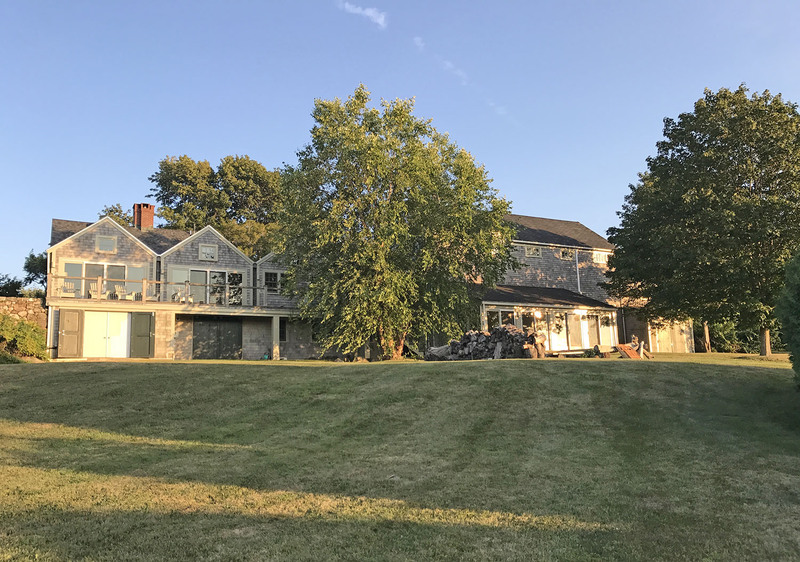 We wanted a place where both of our families could stay together near the wedding venue, as well as host small gatherings of guests and provide a hub for our guests, many of whom were from out of town. 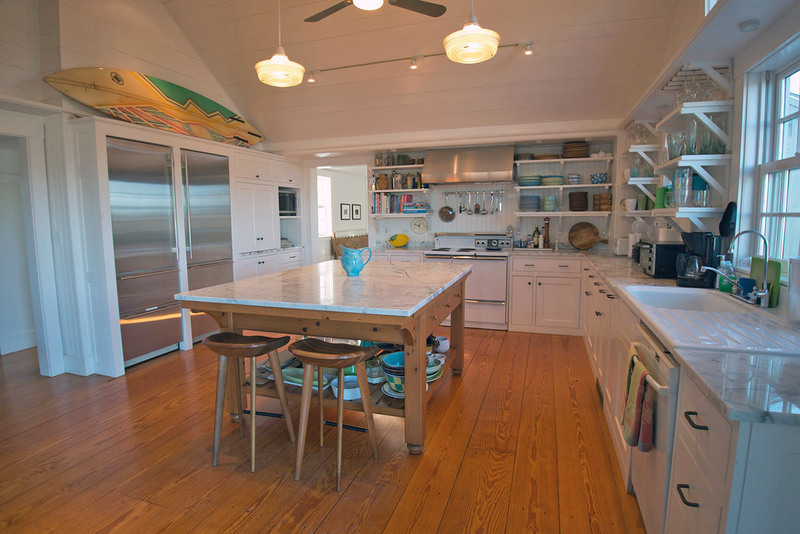 Clamshell exceeded our expectations on most levels - the house is truly gorgeous and the views are unparalleled. The location is super convenient, and the house and property is so beautiful, its hard to find reason to leave! We really had a fantastic stay and if the opportunity arose, would love to be back. Excellent. We loved it. Beautiful house, would def do it again. Glad you enjoyed your stay at this exceptional home. Also delighted that you found your camera! This gorgeous home was perfect for our 12 family members. With 6 bedrooms and as many bathrooms no one was cramped for space. The fully equipped, modern kitchen was a dream. If you didn't come to cook there are many restaurants within walking distance of the house...we tried several and had wonderful meals. The house was clean and in perfect condition...the rental agency kept us fully informed and was very helpful. Sitting on the deck and watching the tide ebb and flow on the beautiful Essex River was a favorite past time. This is a home that we would definitely rent again....and look forward to doing so! This was an ideal location for our family get-together! There were lots of things to do at home and in surrounding towns to keep everyone (teenagers to grandparents) entertained. The home was very comfortable with spaces to gather the whole family or enjoy privacy. We left with sweet memories of being together! really wonderful house and location. the squash and tennis courts were a lot of fun.